← An Open Letter To Trevor Philips: Why Your Documentary Is Logically and Morally Flawed. I’ve not mentioned much on this blog that I’m a petrol-head. I think that every-day transport and commuting should rightly take place on public transport, where practical, and that personal motor transport should be reserved for fun and special occasions unless one’s work actually demands the use of a lorry, car, van or motorcycle. So my petrol-headedness welcomes the advent of electric cars and more cycling as well as more light-rail and integrated transport links. But I still love old classic cars and have at last returned to that love to produce an MG Midget that I think British Leyland should have made themselves back in the 1970s. 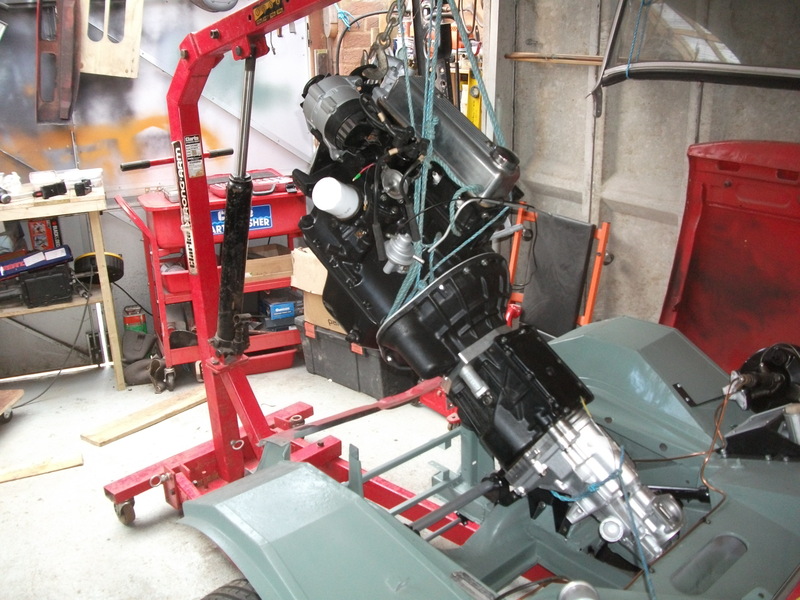 The Nagara 100 bhp Triumph 1500 engine being fitted along with a 5-speed gearbox. The prototype is still under construction though the design work and mechanical alterations are pretty much finished. The new bodywork is next on the list. For more, please go to the NagaraMG public blog. If you’d like to become a part of this project, please do get in touch.